Daphne Ballinger, armed with high hopes, lands her dream job at The New York Times. However, it’s not long before writing about weddings becomes a painful reminder of her failed relationship. It also doesn’t take long before her perception if the big city begins to lose its luster and her opinion of it begins to sour. Because of that she slowly starts to realize that her life needs a change of pace from her usual predictable life. She just doesn’t know how to change anything. Her life is changed when her beloved Aunt Dee passes away and leaves a sizable estate to Daphne. She now has a change of pace, but it might not last long wit the strings attached to the estate. Coming home was easy, fulfilling the conditions of the estate, getting married within a year of signing the paperwork, isn’t quite as easy, especially since she has to really fall in love within a year. With the year deadline looming over her, Daphne only hopes for a year in the house before she has to leave, but with so many bachelors in town it seems only a matter of time before she falls in love with one of them. But Daphne is focusing on her transition and her change of lifestyle then falling in love, along with all the secrets her aunt was hiding and whether she should tell them. But maybe God and her deceased Aunt Dee might have different plans for her life and her time in her small town. 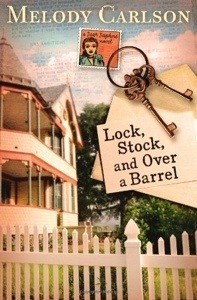 Can Daphne fall in love before the allotted time or will she only get a year in her favorite childhood home? What will daphne do if she fails to me the deadline? What secrets will Daphne discover about her aunt and are there any more to be found? Who will Daphne fall in love with if anyone? Will Daphne find that she enjoys life in her small hometown better than life in the big city or will she miss the lights and luster of New York? I’m a huge fan of Melody Carlson’s and because of her popularity it’s a struggle to get any of her books, so I was thrilled to get the chance to review this one. I’m used to reading her young adult novels, so I believe this is my first adult novel by her and I must say that it was a new experience and one that I wouldn’t mind experiencing again. This novel wasn’t quite what I expected. I didn’t expect it to be a series and I definitely didn’t expect it to end at the point or on the note that it did. I did enjoy this novel, but because my expectations were a bit more exciting and romantic I think I’m a bit disappointed with what I got. However, knowing this is a series eases my disappointment just a bit because I know she has to fall in love at some point. There really isn’t much romance in this book it’s more of flirting and establishing who Daphne’s options are and there are quite a few. There are at least six different guys that are bachelors and are a possibility. I know I’m rooting for Mick, but maybe that’s just because I’m a sucker for an Australian accent. But I have a feeling that I know who the author will pick for Daphne and he’s my second choice. I’m really interested to see how the author navigates half of a dozen men and how she will pick one without disappointing too many people. The story line of this book isn’t fast paced and isn’t one that’ll keep you up at night but it is one that’s worth reading and I think it holds a lesson all of us single people ought to learn, that we need to look for God for fulfillment instead of the perfect guy or girl. That was my favorite part of the novel because it was an epiphany for Daphne and allowed her to get her priorities straight. It progressed the story nicely and allowed a great finish. I love this author and though this book was a bit of a disappointment for me and the title sounds better suited to a western, I don’t plan on stopping being this author’s fan and I do plan on reading the next books in this series because I want to know who Daphne ends up with. Though I don’t fully recommend this book I recommend the author’s other books. Overall, a bit of a disappointment but still a good novel and the start to a good series. I think this book is perfect for those who want more of a serial romance series and not a quick romance read. This book is best left to the adults and possibly older teens. I give this a three out of five. Dorothy Lynn Dunbar has everything any girl could ever want: a family that loves her, a great church, a tight-knit community, and a handsome fiancé that’s the pastor to her church. Spending time in the woods lost in her music, lifting her heart and voice in worship to God with her brother’s guitar, should make her life complete but she longs for more. Spending a week in St. Louis looking for a wedding dress with her sister, gives her more when she discovers Aimee Semple McPherson’s crusade team. Given the chance to sing on stage for this powerful woman, Dorothy begins to see how dangerous stardom can be. But she reluctantly agrees to follow Aimee and her troupe to Los Angeles to find her brother and herself. As she traverses the good and bad side of the ’20s she’s forced to consider what she wants out of life. With her engagement on the rocks because of her choices and temptation like no other rears its ugly head and innocent Dorothy must use every power in her to resist. Dorothy and her naïveté get her into a lot of trouble and temptation and it doesn’t seem like she’s strong enough to get herself out. Will Dorothy resist temptation and sin or will she give in and ruin her life for good? How will Dorothy decide what she truly desires in life? What will Dorothy choose? Her sweet innocent life back home or a wild new world out in California? Can Dorothy win back her fiancé or did she lose him forever? Being me, I picked this book solely for cover and era. I’ve been a fan of the “Roaring ’20s” for a while and wanted to read this one solely for that. Unfortunately, this time my gamble didn’t pay out. This book is, for lack of a better word, boring. There was no real excitement and the storyline was actually kind of predictable. I don’t think this is the best representative of the 1920s and the views of that time. This book was a mess. It felt disjointed and bipolar. The emotions shot all across the map, making the reader wonder what emotion we’re going to encounter next. And the fact that part of the book was from the 19 year old Dorothy and the 107 year old Dorothy really made the story jump around and though it was a good concept, it wasn’t executed very well. One factor I really didn’t like was Aimee Semple McPherson. It was the part that the author liked the most and her admiration for the woman comes through her after note but it doesn’t resonate throughout the book. I didn’t agree with the doctrine in this book nor did I like the Aimee Semple McPherson I was shown. My view of her after reading this book was that she was haughty and in the business of saving souls just for the fame and fortune that comes with being a female evangelist. I really don’t think the author portrayed this woman, whom she really admires, in a very appealing light. I really didn’t care much for any of the characters, except for the minor characters that only had a few lines. I felt that the heroine left her faith when she left her hometown and particularly when she needed it most, I felt that her fiancé was foolish and slightly controlling, the guy she turns to and trusts is the epitome of slimy and womanizer and not at all what a Christian should be not to mention I got the impression he was just being nice to her to make her his conquest, Aimee came off as haughty and slightly bitter, and Dorothy’s sister was overbearing. None of them were very like able and I felt greatly disappointed in that. 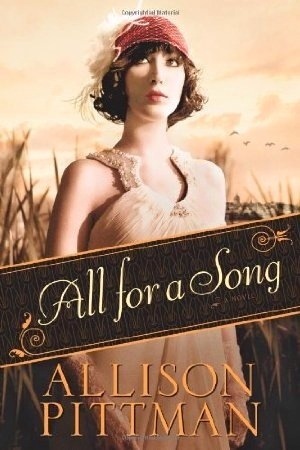 I didn’t like this book from Allison Pittman. I don’t think I’ve read anything from this author before and because I like to give people a second chance I do intend to read more from this author but with more of a caution. I don’t know for sure, but if I had to guess I would say that this book isn’t a proper representation of her ability. I don’t recommend this book and I can’t really recommend this author, at least not yet. Overall, I didn’t like this book at all and I don’t really recommend this one. Some of you might like this book more than other and me, but read at your own caution. This book is best for adults only. I give this book a two out of five. Eighteen months after the tragic Grove Street Fire took the life of her husband, David, and four other heroic firefighters, Susan Marlowe thinks she’s finally beginning to heal. She has a homeless shelter that keeps her busy. She also has caught the attention of the local fire chief. She finally believes that she can move on from her husband’s death and live again. But, she soon finds out that David took a secret to his grave, a secret that could’ve tore his family apart. It wrecks havoc on her and her family and makes her question her marriage and all it was. She’s trying to forgive for her sons but she just can’t seem to do it. Peter Brennan is the local fire chief and was there when he lost five firefighters in the fire. He feels responsible for the loss and thinks there might’ve been something to save those lives. As he tries to rebuild the team at Clemens County’s Station 2, he finds comfort in the arms of the woman he least expected. Will they be able to conquer the tragedies that confront them? Will they be able to stay together or will David get between them? I didn’t quite know what to expect with this book. The cover was incredible and I’m a little ashamed to say that I picked solely because of the cover. I guess I haven’t broke that habit yet. Anyway, the author did a fantastic job at creating family drama and making believable situations come from that drama. The author made me feel the characters went through throughout this book. However, the romance was the typical Christian kind and I prefer a little more. Despite that, the romance was a funky one. Pete was the fire chief when Susan’s husband was alive and Pete doesn’t like her homeless shelter at all. That plus the fact of her husband’s infidelity, made the romance a roller coaster that makes you dizzy. There is a sense of suspense in this book, but it’s not a large part of the book. However, this time I didn’t anything that was going to happen with the suspense because it was something that supposed to be resolved and figured out. It was a nice surprise and twist to not guess it. It was nice to see how the author formulated the suspense and played it out. But, it doesn’t make my top ten list in best suspenses and I wouldn’t expect it to, it was never supposed to be one. Though I did enjoy this book, it wasn’t really my cup of tea. The whole book wasn’t something I normally pick and it’s just not something I really want to read on a regular basis. However, this book was nice for a change, but I don’t think I intend to read another for a while. Overall, not my cup of tea, however, it is an well written book. I recommend this more for older readers or for someone looking for a drama slash romance. I give this book a three out of five. I received this complimentary copy of this book from the publisher for this review. All opinions expressed are my own. Here it is. Beyond all Measure by Dorothy Love. Ada Wentworth is broke and desperate, so when a job offer comes along she packs her one bag and heads off to Hickory Ridge to be a lady’s companion. 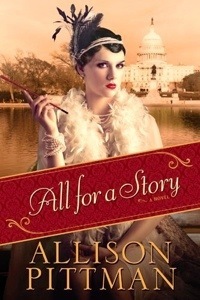 Little did she know that Lillian Willis is a headstrong woman who knows what she wants. As Wyatt Caldwell, Lillian’s nephew, and Ada fall in love, will Ada drop everything, including her growing business, to move to Texas to be a rancher’s wife? Ms. Love has a knack for description, a gift not all authors possess, and it truly paints a fantastic picture in my head. I love the fellow ladies of Hickory Ridge and Sophie. All except Bea draw you in and make you love them. They tease and laugh and of course gossip. They’re definitely inviting and you wish that they were in the story more, and real. The story had some pleasant, and not so pleasant, surprises and twists. Particularly with “The Klan” and you find out who really is Ada’s friend and who isn’t. Lillian is a major part of the faith aspect of this story. Both Ada and Wyatt don’t really have a relationship with God and Lillian makes Ada read her the Bible before she goes to bed. This book is pretty good but for some reason, I couldn’t really get into it, that’s why it took me so long to post this review. I don’t even know why I can’t get into it. There isn’t really one thing that’s wrong with it. Overall, I think this book is perfect for people who love historical romances and for people just starting out reading romance because it is very innocent in the romance. For some reason it didn’t draw me in like some books and I was slightly disappointed. I give it three out of five.